. : Dar Akbar Al Khaleej :. Heidelberg CD 102 –5LXUV five color printing machine with Inline coater. Max. 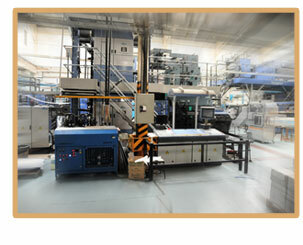 Sheet size 720 x 1020 mm, speed 15,000 copies per hour. Heidelberg Speedmaster 10 color perfector. Max. 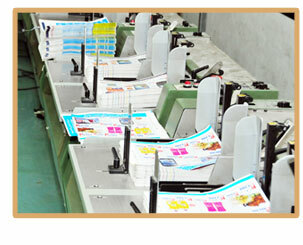 Sheet size 720 x 1020 mm, speed 15,000 copies per hour. Heidelberg SM 102 FP five color printing machine, max. 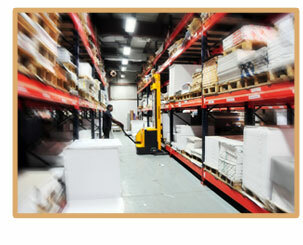 Sheet size 720 x 1020 mm, speed 12,000 copies per hour. Heidelberg SM 102 Z two color printing machine, max. 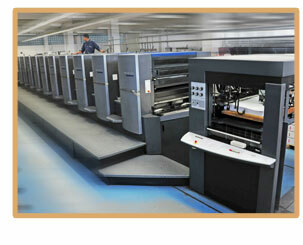 Sheet size 720 x 1020 mm, speed 12,000 copies per hour. Heidelberg SM 52 – 5LUV, size 370 x 520 mm, speed 15,000 copies per hour. Heidelberg Prepress Interface for Cip3 job data. THIEME Flat bed Semi automatic screen printing machine, with on line UV dryer with conveyer. Montocop Screen preparation Printing down frame. Screen wash and screen preparation equipments. Manuline 16 Heat set commercial web offset press. Newsline 45 coldest web offset press. Harris V-15D coldest web offset press. Interlake Kebono High Speed Strapping Machine. Stahl combination folding machine KL 78 (2nos. ), one with hhs gluing attachment. Heidelberg stahl TD 78 buckle folding machine (6+6+VFZ+SBP) with round continuous feeder and automatic stacker.Additional features: double gate fold attachment, gluing attachment, creasing against PU and map folding features. Kolbus Automatic Case making machine with a speed of 2160 copies per hour. Automatic End sheet Tipping machine, with inserting option. Karl Tranklein corner cutting machine. Karl Tranklein Hydraulic Book Pressing machine. Dual Needle Leather sewing machine. Muller Martini Tigra perfect binding machine - 10 clamp binder with inline 10 station signature gatherer and cover feeder. Sulby (10 clamp) perfect binding machine. CP Bourg perfect binding machine. Muller Martini 12 station gathering line. Muller Martini saddle stitching machine with 8 station signature gatherer, cover feeder and inline three side trimmer. Hohner dual head wire stitching machine. MCcain 2000 saddle stitching machine with 6 station signature gatherer, cover feeder and inline three side trimmer. C.P.Bourg loose leaf collator, 20 bin with automatic stacker. Renz autobind automatic wir-o binding machine. Swigraph Wire-o punching, cutting and closing machine. Renz Wire-o punching, cutting and closing machine. Morgano Rotary Numbering machine with Zacares numbering boxes, creasing and perforation attachment.Heidelberg automatic platen press with Libeinger numbering boxes. Fidia Folder gluer for automatic fabrication of envelopes, folders, capacity folder and capacity boxes. Straub Auto double side tape applicator with dual tape applicator head. 85OZ Cupotech pop cornmaking machine. Kluge automatic hot foil stamping machine. 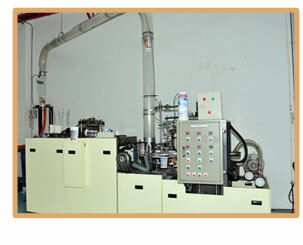 KB & E semi automatic hot foil stamping machine. Automatic B & H Foiling Machine. Complete Sandvik die making equipments and dies. Delux Die cutting machine max. sheet size 700 x 1000 mm. Heidelberg SBB flat bed cylinder press. Graphic Whizard FM 200 Air fed Scoring and perforating machine. Bickkel perforating and creasing machine. Thieme Screen printing machine max. sheet size 780 x 1080 mm with UV dryer for UV spot varnishing, gluing and printing. Montakop ST printing down frame with exposure lamp and dryer, for Spot UV / screen printing stencil preparation. Screen printing stencil washing unit. Champion CAGL 1020 laminating machine with non stop feeder and LSS 1020 sheeter. Eurobond Merlin LM 88 water based laminating machine. Conorme LC 800 semi automatic shrink wrapping machine. Robopac Fully automatic shrink wrapping machine. Mini Pack Torre poly bagging machine. Poly sealing machine (4 nos.). Stahl HSB Poly Strapping Machine. Constantin Hang dual head paper drilling machine. Count-Wise I &M sheet counting machine.